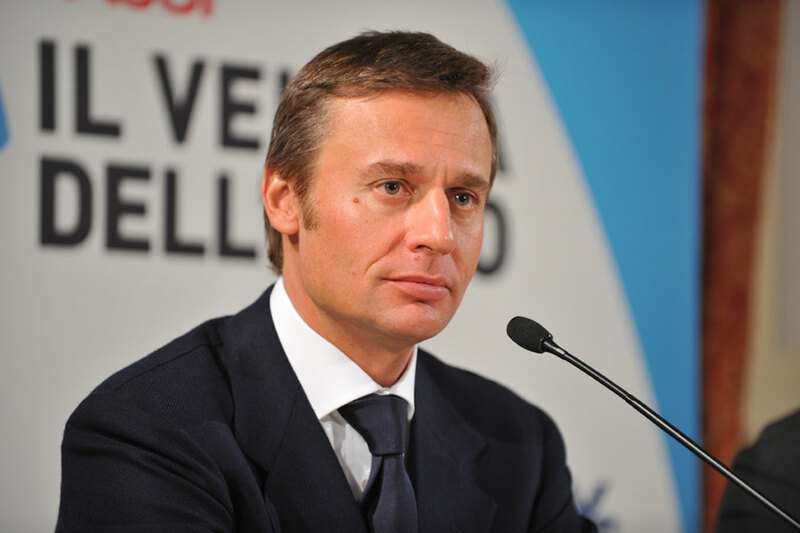 There are discussions going on at the highest level, between Ernesto Bertarelli and heads of other America's Cup teams, including Larry Ellison. 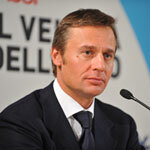 These discussions are about finding a resolution to the ongoing court case and about the future of the America's Cup. At the same time, Ellison's spokesman, Tom Ehman, is writing letters and giving interviews in which he demands that SNG/Alinghi settle for an AC32 style Cup, knowing full well that this would defeat Bertarelli's oft repeated aim of levelling the AC playing field, by cutting the cost of the competition. 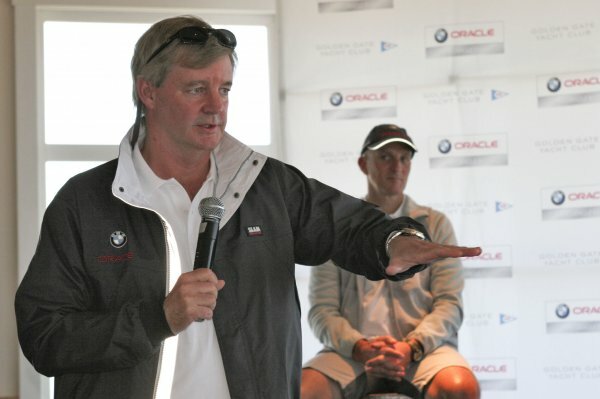 In an interview with Zerogradinord, one of Ehman's opening statements was "We are just fighting for a fair chance to win the America’s Cup on the water. If the Alinghi protocol, if these rules are allowed to stand it could be the end of the America’s Cup as we know it. So, we have no choice, but to fight for fair rules for everybody, a chance to win on the water and that’s all we are fighting for." Fair enough, if that's what Ehman believes, but when - whatever the question - he brings in "fair rules" a dozen times in as many minutes, it begins to sound like propaganda. they can put an end to this by going to fair rules that allow everyone an equal chance ------ we just want a fair chance to win on the water ------ fair rules, like America�s Cup 32 ------ back to the rules for America�s Cup 32 ------ let�s go back to the fair rules of America�s Cup 32 ------ fair rules and a level playing field ------ fair rules, a race on the water that we all have a chance to win ------ get us back on the water with fair rules ------ proper conventional fair rules, with a fair protocol ------ fair rules of America�s Cup 32 ------ fair rules for all the challengers ------ fair rules that don�t damage the future of the America�s Cup ------ fair rules, like America�s Cup 32. Of course, there is nothing wrong with ramming your point home, if it is the right point, but is it? Surely, what is important here is not what Tom Ehman thinks and wants, but what the challengers think and want? It is true that seven challengers, initially, described the protocol as "the worst text in America's Cup history", but that was before it was explained and changes were made in a democratic way. 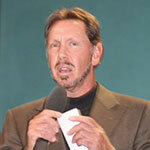 Now, even BMW Oracle admits that only two teams are still proclaiming that the protocol is unfair. A document, recently posted on the GGYC website, says "Seven teams said it was the worst protocol in the Cup's history. 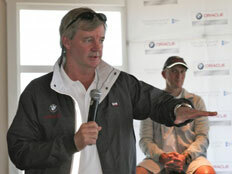 Emirates Team New Zealand and Mascalzone Latino have continued to publicly oppose the protocol as grossly one-sided." So, out of the six teams that entered AC33 and took part in the round the table talks, which led to the publication of the Class, Event and Competition rules, in November 2007, just two still cry "unfair". Leaving aside the Challenger of Record, Desafio Espanol, who might be accused of pro-Alinghi bias, what do the other three absolutely neutral challengers - Shosholza, Team Germany and TeamOrigin - think? Do they still believe the protocol and the rules are unfair? Shosoloza�s Salvatore Sarno: "The revised Protocol for the 33rd Cup was giving no advantages to the Defender. In fact, most probably for the first time in the history of the Cup, the 'minor' teams like us, the English and the Germans were thinking they could win the America's Cup." Team Germany's Jochen Schuemann: "I think the outcome to have one unique rule is what matters and when everyone receives that rule at the same time then, obviously, you have a fair competition. I think, during that consultancy process, we also came very, very close to agreeing with Oracle, because nothing was impossible to agree. You have seen that all the challengers agreed to the class rule, to the competition rule, to the event rule, so all that was there was good enough to race under." TeamOrigin�s Marcus Hutchinson: "TeamOrigin is very happy with the consultative process. The Competitors' Commission, which has replaced the Challengers' Commission, involves the Event Organisers, the Defender and the Challengers, at the same time, and it's infinitely more efficient at getting voices heard and modifications made. All the protocol changes, plus the design rule you've read, the competition rule you've read and the event rule that you will read soon have been produced in consultation with everyone involved in the 33rd Cup and that means they've been produced on a fully democratic basis." It is clear, from those comments, which are just a few taken from BYM interviews in this section, that the majority of challengers, whatever they felt immediately after the protocol was announced, no longer share Ehman's view that the rules are unfair and give them no chance of winning. So, why does Ehman still persist in repeating, over and over, that the rules ARE unfair and don't give challengers a chance? Jochen Schueman told BYM News " I think these two parties, at the moment, will never agree to anything, because it’s a big ego fight and a kind of revenge of Russell against Ernesto, so there can be no agreement." Is that the reason for the Ehman rhetoric? Is that the reason the majority challengers opinion - that the rules are fair and they have a good chance - has been ignored? Is that why Marcus Hutchinson's plea to Larry Ellison "Drop the court case, drop the court case and challenge", last November, went unheeded? 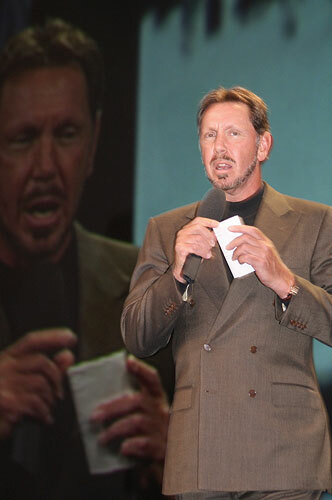 We hope that Larry Ellison takes the reins in this, listens to the challengers, meets - as planned - with Ernesto Bertarelli and makes his own decision; a decision for the good of everyone in the America's Cup community.